Jonatan Lucca had 25 match appearances this season. 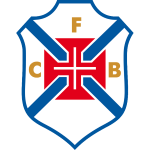 The club of Jonatan Lucca, CF Os Belenenses, presently holds seventh position in Primeira Liga (Portugal). He prefers to play with his left foot, as do 34% of his teammates. Measuring 184cm, CF Os Belenenses's average player height surpasses Jonatan Lucca by 2cm. 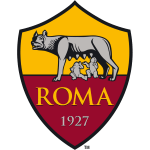 Born on June 2, 1994, his age of 24 underlies his team's mean. Back in 2018, Portuguese midfielder Jonatan Lucca's contract with CF Os Belenenses (Portugal), the club he is still a member of, took effect. One year and 0 days was the maximum period he ever played in a team, which is FC Pune City (India). He weighs 76kg which is just as much his team's average heftiness. Jonatan Lucca's jersey displays the number 47. After an overall look at his career, we can see that he was substituted in 20 times but never out. In the active season, he was taken out more often in contrast to 2017/2018 wherein the contrary happened. 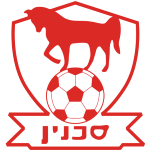 His shortest stay in a club was 31 days in Bnei Sakhnin FC (Israel). This season Jonatan Lucca scored four and assisted one goal which is 8.8% of all of CF Os Belenenses's goals in Primeira Liga 18/19 (Portugal). On average, he initialized 0.04 and hit the net 0.16 times per match this season which is a better performance than last year's. Back then 0.1 goals and 0.05 assists per match have been achieved. Concerning the latest matches, his club tied in Primeira Liga. He managed to attract a lot of good feedback after his performance at Bnei Sakhnin FC, the team he was subjected to before joining CF Os Belenenses. Jonatan Lucca received seven penalties throughout his entire career (all yellow). In the current playtime, he caught 3 yellow cards. He impressed in Indian Super League 2015 (India), reaching his personal record of goals. He is playing as midfielder in CF Os Belenenses together with Eduardo Henrique, Merlin Tandjigora, Andre Santos, Matija Ljujic, Dalcio Gomes and Nuno Coelho. From his professional start until now, Jonatan Lucca has performed in 75 matches in total and hindermost appeared yesterday.